April 22 to May 6 — Reporting in the Philippines. May 9 — Speaking engagement World Wildlife Fund, Washington, DC. September — Speaking tour and reporting in India. January 1 to January 31, 2015 — Reporting from Panama. June 7 to June 22, 2015 — Reporting from California. September 17, 2015 — Appearance, University of Michigan. October 20, 21, 2015 — Speaking at NY Institute of Technology, Sustainable Megacities Conference, Beijing, China. October 22 to November 1, 2015 — Reporting from Pearl River Delta, China. January 1 to January 11, 2014 — Traveling in Eastern Europe – Prague, Berlin, Frankfurt. January 18 to January 22, 2014 — Speaking at International Water Summit, Abu Dhabi. January 23 to January 30, 2014 — Reporting for Circle of Blue in Assam and Meghalaya, Northeast India. January 31 to February 6, 2014 — Attending opening of Convention Center, Owensboro, Kentucky. February 24, 2014 — Briefing Wilson Center staff on Choke Point: India II findings, Washington, D.C.
February 24, 2014 — Global Choke Point speaking engagement, New York University, New York City. March 28, 2014 — Addressing energy and water meeting, New York City. 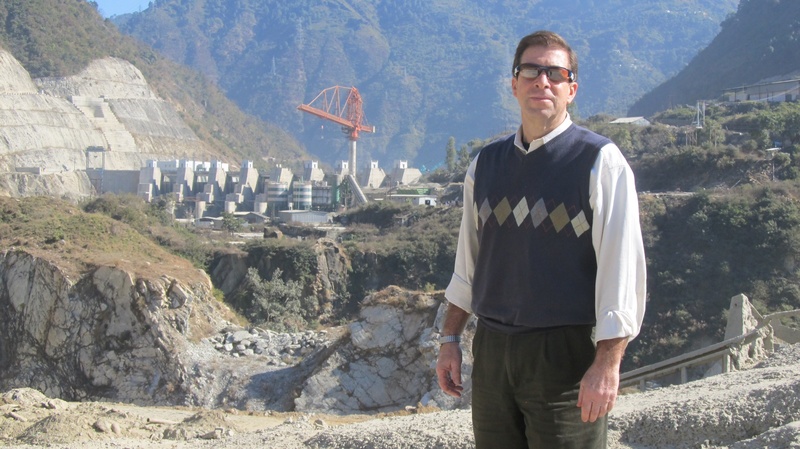 April 2, 2014 —The Uttarakhand flood and India’s menacing energy choke point, speaking engagement, Wilson Center, Washington, D.C.
May 28 – June 5, 2014 — Reporting in Peru on confrontation between water supply and mineral development. June 6, 2014 — Speaking at International Affairs Forum China Conference, Traverse City, Michigan. September 2 – 7, 2014 — Global Choke Point, addressing World Water Week conference, Stockholm. September 10, 2014 – Speaking at Harvard University forum on cities and water. September 11, 2014 — Speaking at Unity College, Unity, Maine. October 8, 2014 — Speaking at Circle of Blue presentation, Traverse City, Michigan. October 30, 2014 — Speaking on Global Choke Point, Ohio University, Athens, Ohio. November 7, 2014 — Speaking at World Affairs Councils of America conference, Washington, D.C.
November 8 – November 23, 2014 — Speaking tour on findings from Choke Point: India with engagements in New Delhi and other cities in India. Reporting from Arunachal Pradesh, Delhi, Assam, Meghalaya. December 9, 2014 — Boston Public Library talk on Global ChokePoint: Earth Pushes Back. WorldBoston Great Decisions Discssion Series. December 29, 2014 – February 1, 2015 — Reporting from Panama, Costa Rica, Colombia. When are you coming to Alberta. You may have heard we need you.